My editor at FaithShapes emailed the October/November website theme to me: “Friends, Family, and Food”, and I immediately thought, “How true for my family.” You see, some of my best friends are family members, and usually when we get together, food is involved. But I also thought about a “family” (I use that term loosely in regard to this particular group) who cannot assemble themselves in one place without strife and discord. In fact, at one particular Christmas gathering, a third party had to be called in to soothe the situation. 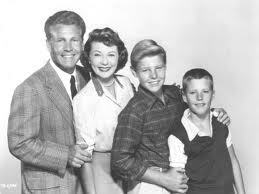 The reality is not all families are the Leave It To Beaver or Ozzie and Harriet type. Let’s face it: life is not easy, and some hard things can hit families—alcoholism, mental illness, abuse, terminal disease, handicaps, addiction, divorce…and the list goes on and on. As a child of divorced parents, I know first-hand what a torn family unit can be. But as a BELIEVER, I know first-hand what a whole, healthy, and safe family unit can be. No matter what kind of earthly family we may have, the Christian has a reliable Heavenly Family (Father, Son, and Holy Spirit). We cannot choose our earthly family; as a teen, there were times when I would have chosen someone else for my mother….and I’m SURE there were times my mother would definitely have opted for a different daughter!!! So if you have even a half-way “normal” family….give thanks. If you can converse peacefully with your siblings….give thanks. If your family can gather for an occasion without strife and turmoil….give thanks. If you are all reasonably healthy…..give thanks. If you can count your family members as some of your best friends….give thanks. If you have good cooks in your family and food on the table….give thanks. If you know you have a Heavenly Father who loves you….give thanks. …..And if you have all of the above, plus more (like me!!! ), then give thanks because you are incredibly, unmeasurably, astonishingly, graciously, knock-your-socks-off BLESSED.